“Larry Legend” was voted one of the top 50 NBA Players of all time in 1996 and elected to the Basketball Hall of Fame in 1998. 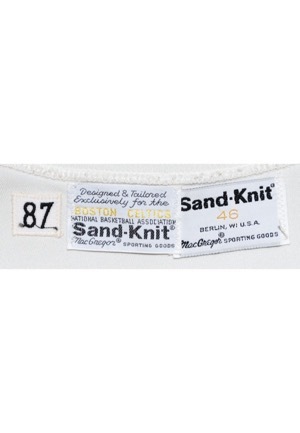 Inside the rear collar is the “Sand-Knit” manufacturer’s tag with size “46”. Adjacent is the “Designed & Tailored Exclusively for the Boston Celtics” tag as well as the “87” year strip tag. 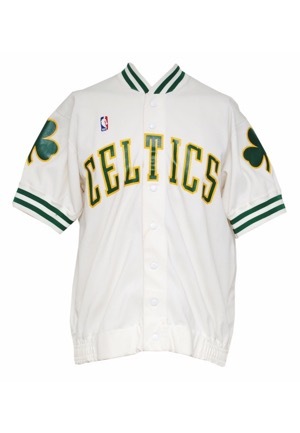 Across the front is “CELTICS” painted on in green block letters with a yellow border. 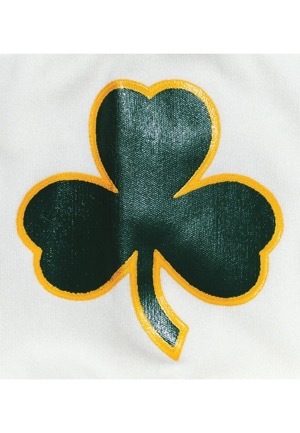 On each shoulder is a shamrock in the same paint configuration. 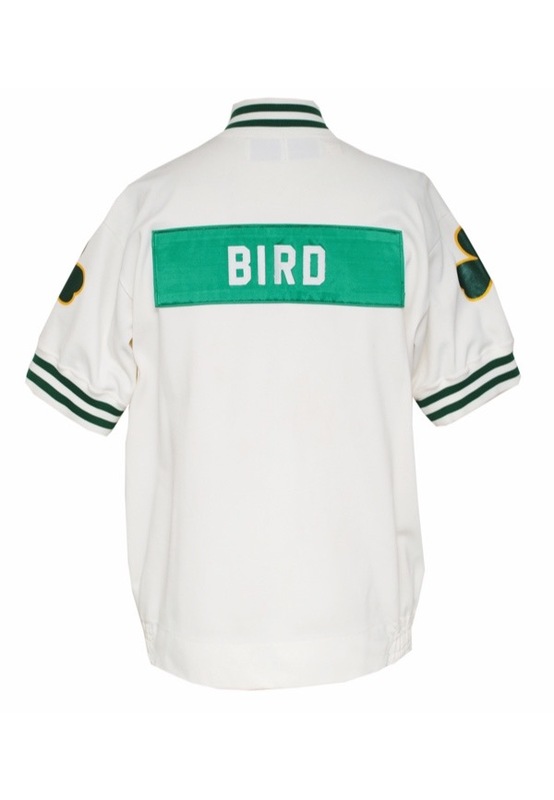 Player name “BIRD” appears on back in white tackle twill block letters on a green embroidered nameplate. At the right chest is the official NBA embroidered logo. The jacket is properly tagged, was presented to us as worn and in our opinion, shows wear.